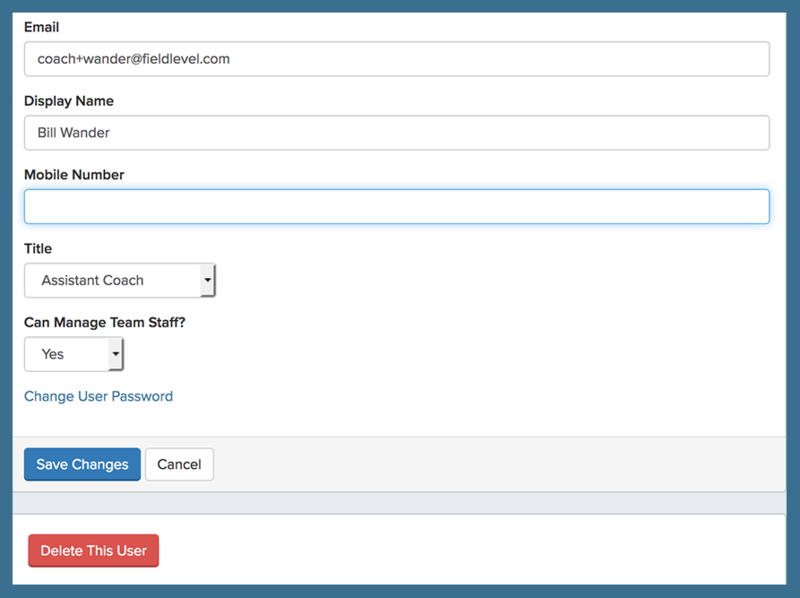 Coaches who are listed as Team Admins can add, remove, and edit coaching staff on FieldLevel. First, select Team Admin in the top right-hand corner. 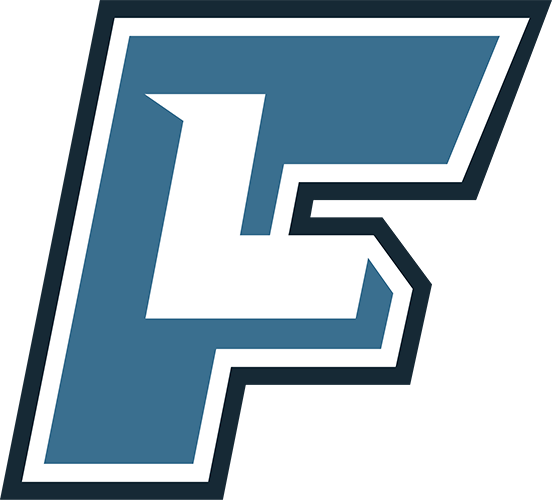 Next, click Add User in the top right-hand corner. 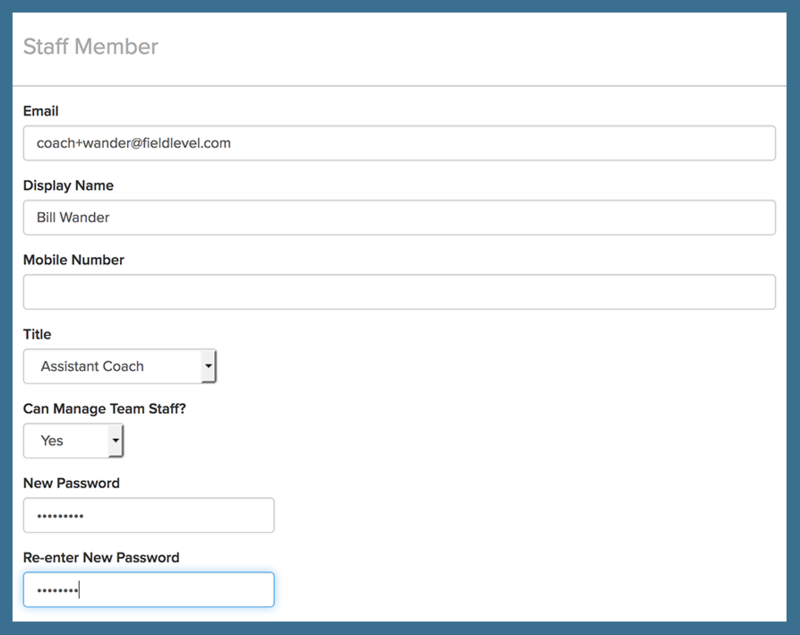 Fill out the appropriate info including name, email, title, temporary password, and admin role. 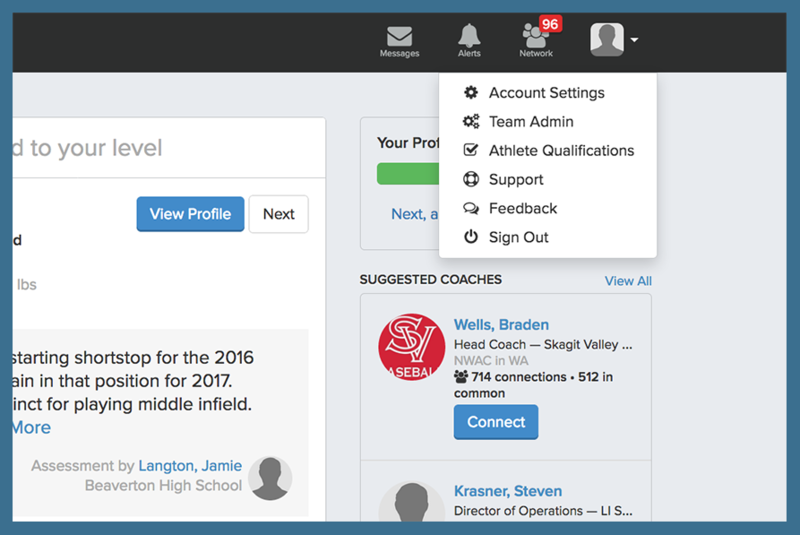 To remove a staff member from your team, click on that particular coach’s name and select Delete This User in the bottom left-hand corner.